A two-channel relay module (HCMODU0115) featuring 2x Omron G3MB-202P solid state relays.A Solid State Relay is similar to a mechanic relay where it can be controlled through a digital signal. Solid State Relay generates no noise and has a much longer lifespan in compared to the traditional mechanic relay. Omron 5V solid state relay, output with resistance fuse 240V 2A. Blue KF301 terminal is more convenient to connect the control line. High-level triggering : There is a forward voltage between the signal trigger terminal (IN) and the negative pole of the power supply. Usually , a triggering method is used to connect the positive pole of the power supply to the trigger terminal. When the trigger terminal has a positive voltage or triggers. At the voltage, the relay pulls in. Low-level triggering : The voltage between the signal trigger terminal and the negative pole of the power supply is OV, or the voltage at the trigger terminal is lower than the voltage of the positive pole of the power supply. 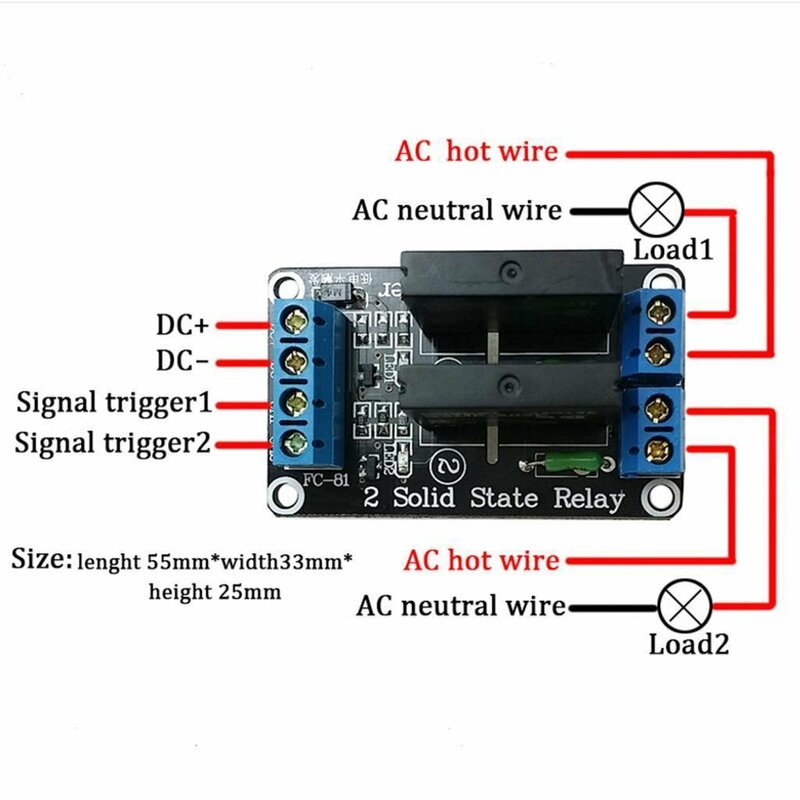 When the voltage is low enough to trigger, the relay is pulled in, usually A triggering method in which the negative pole of the power supply is connected to the trigger terminal , so that the relay is attracted.